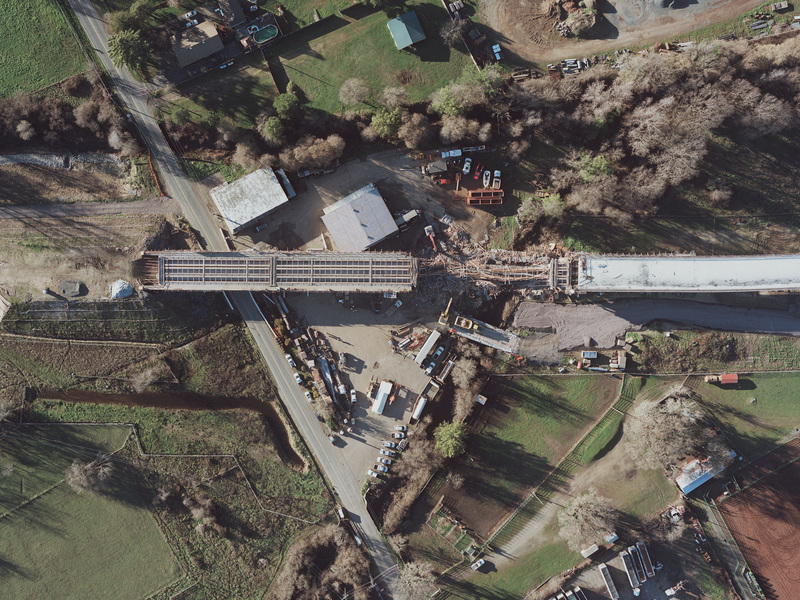 Caltrans has completed its investigation into the January 22, 2015 falsework collapse at the Willits Bypass viaduct. This report provides a series of discussions and analysis on the falsework failure event. These include: the submittal and approval process for Willits Bypass falsework; post failure falsework collapse investigation results; detailed discussion on potential collapse mechanisms; most probable collapse mechanisms; internal review and analysis; conclusions; and recommendations. Caltrans Office of Structures Construction sent experienced engineers to perform detailed reviews at the falsework failure scene as the failure was slowly deconstructed in the field in order to gather information for analysis. A forensic team was assigned to review all of the contractor supplied falsework plan submittals, review the field analysis, and then discuss potential failure mechanisms. The falsework was not installed as shown on the approved falsework drawings. Certification by the contractor’s Engineer of Record’s designated representative may have been ineffective. The collapse was rapid with no prior indicators of an incipient loss of stability of falsework Bent 3-5 [a bent is a group, or framework, of supports]. Once Bent 3-5 collapsed, it created instability in Falsework Bents 4-1 and 3-5. Subsequently, progressive failure of falsework bents in a sequential fashion from Bent 3-5 to Bent 3-1 took place. Evaluate revising Standard Specifications 48-2.01C (2), Shop Drawings, regarding delegation of certification of the falsework and timing of certification. Evaluate the need for horizontal forces to be positively restrained. Evaluate the need to provide internal training for the review on the best practices in design, construction and inspection of the falsework. This entry was tagged caltrans, willits bypass. Bookmark the permalink.